What is your favorite Pollock painting and why? I just answered a question on Quora, and I thought I should repost it here. I have many favorites, but I recently was in Seattle and saw one that I hadn't seen before. 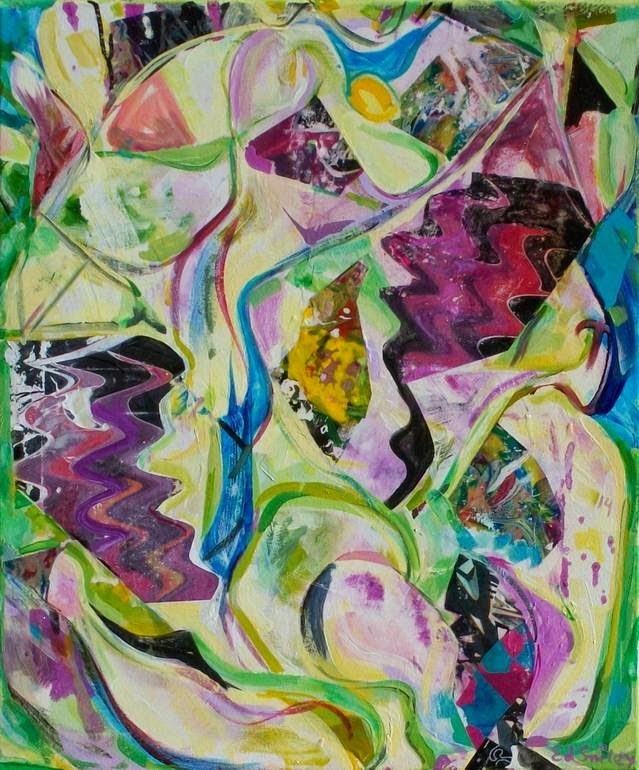 It's really not attention grabbing, and pretty small for a Pollock, and the color range is very minimal. All this said, when I actually saw this painting it totally blew my mind. The main colors are aluminum paint and a glossy black enamel. There are also pebbles in it, which adds to the texture. 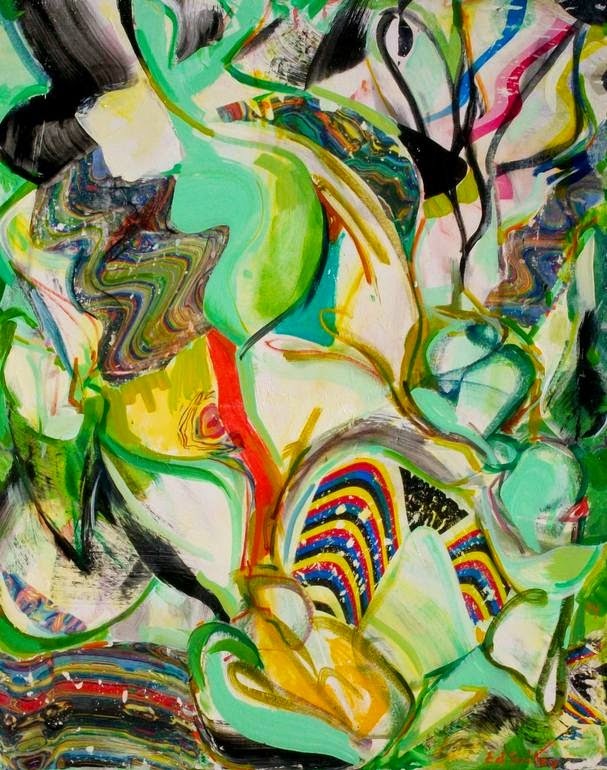 The paint surface is three dimensional in some uncanny way so that as you move from side to side, different light glints off the surface in different places and the black lines throb in and out space as you move past it. It completely shifts and changes. Depending on what angle you look at it from the depth some times looks like three to six inches, even though the paint is not nearly that thick. It may be that paint going over the pebbles also adds to the effect, as a black line of paint would have a radically different shape from different angles. Pollock must have known what he was doing, although I have no idea how he was able to pull it off, and have never seen another painting behave in exactly this way before producing this kind of 3-D false parallax. I think that in some way he got the silvery paint to reflect from two different positions one for each eye, much like what you see in 3-D glasses. Also if the glossy black paint is hit by light from the side it as seen by one eye, and not the other, that could also produce some of that mysterious depth. It's not a stable effect, so as you move past it, to the right or left it keeps changing. Sea change is a Shakespearian coinage, and means "a profound or notable transformation." Incidentally, this speech from The Tempest was the source for the title of another of Pollock's paintings, Full Fathom Five. Turn On. Tune in. Pop Up. Come on By My Studio This Saturday. 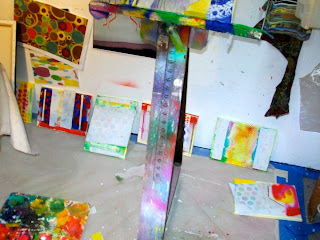 Visit my studio and watch me work. Please join me and my fellow 17th Ave Studios Artists in Building 4, as we host our first monthly POP UP art show! We will be having a feature POP up show monthly through Dec. The summer shows will be June 27. July 25, Aug 22. Took down the extra paintings in the hall. Had to reorganize my stuff so I could work again. Just finished some new ones. I am going into a polka dot phase, apparently. Now I am starting on a series of little polka dot paintings. 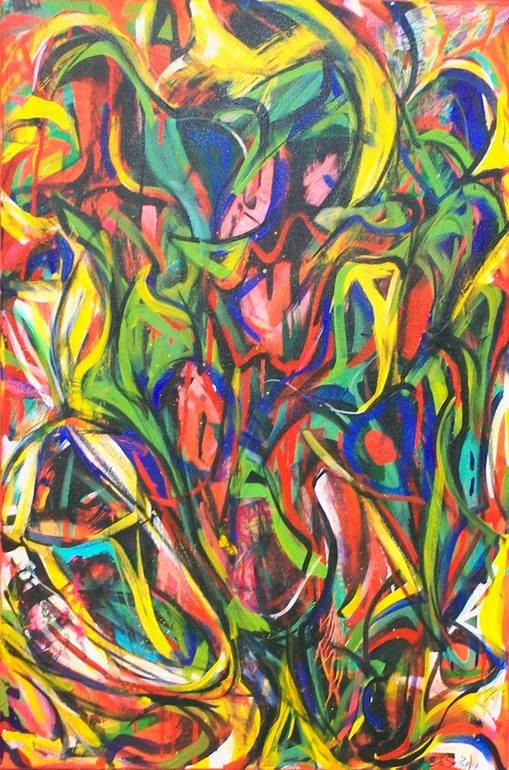 Please join me for the launch of Third Fridays-Capitola Mall on Friday, March 20th, 5:30 - 8:30pm! I will be showing in the empty store next to the Hallmark Store, along with local artist Michael Singer. Third Fridays - Capitola Mall is a free monthly indoor walking art tour. Each month, the stores and venues at the Mall host an evening with local artists and their work, celebrating the creative culture that makes Santa Cruz County special. Enjoy wine, snacks, music and local art around every corner. Please come out and support our incredibly talented local artists. 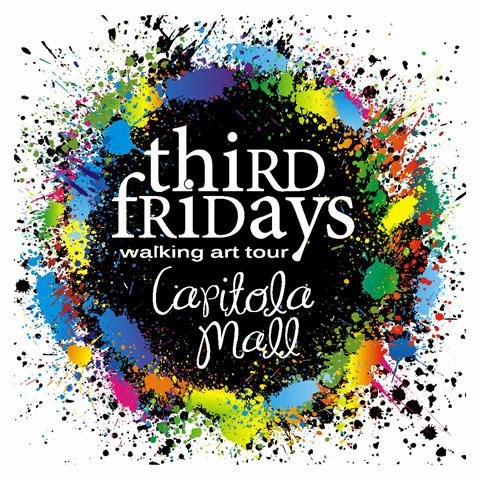 Third Fridays - Capitola Mall is a free monthly indoor walking art tour. 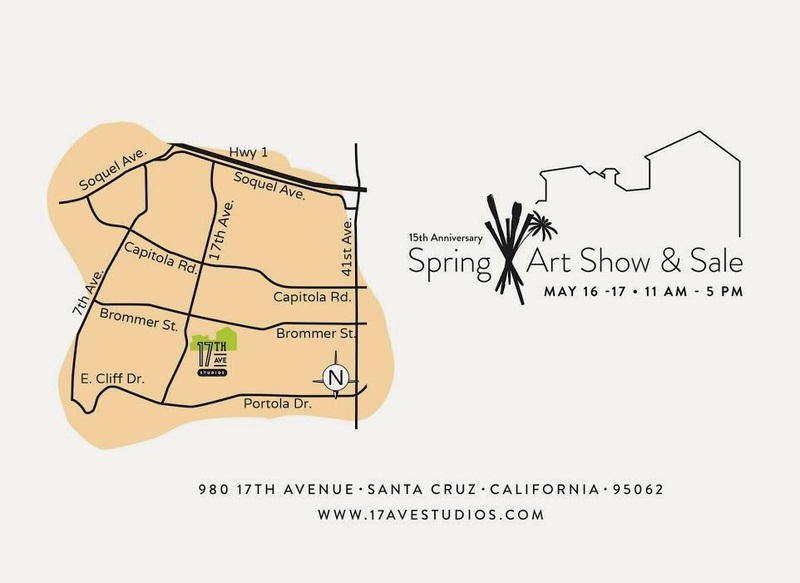 Each month, the stores and venues at the Capitola Mall host local artists and their work, celebrating the creative culture that makes Santa Cruz County special.